Colorado Siding are your Arvada Colorado siding experts. Home \ Colorado Siding are your Arvada Colorado siding experts. If you’re a resident of Arvada Colorado and are considering a siding project, we can help. Colorado Siding has been installing various types of high-quality siding for over 20 years. With that track record, you can be sure that our experts have what it takes to make sure the job goes smoothly the first time. 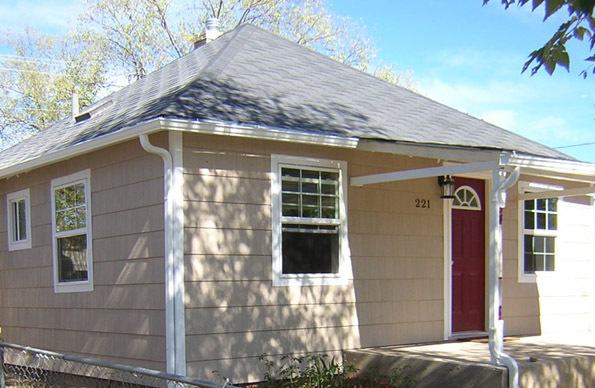 For homeowners in Arvada Colorado, siding is always a major investment. You want the best, most durable product that will not just make your home look great—it will keep it looking great for many years to come. Without a lot of maintenance or further expense. You want to be sure that your dollars are spent in the most economical, efficient way possible. After all, your home is probably your biggest investment. Keeping its value up is important. So which siding is the best choice for your home? You might already know what you’re in the market for. Or you might still be deciding. Vinyl siding? Steel siding? Traditional cedar shingle siding? Fiber cement siding? They each have their pros and cons as Arvada Colorado siding choices. Remember, siding is the shield that protects your home from the elements. You want something that will insulate and protect, and to do that it has to stand up to the elements. We don’t have to tell you how extreme the so-called elements can become here in Colorado’s Front Range. Blizzards. Hailstorms. Gale force gusts. And sudden dramatic temperature changes. And that’s not to mention the sun, baking down on your home, day after day and year after year. Taking those factors into consideration, Arvada Colorado residents frequently turn to us to advise them on which type of siding to purchase. Tell us your needs and priorities, tell us your budget, and ask us any questions about the different types of siding and the different styles of siding in each type. For instance, did you know that if you love the look of cedar shingles, but don’t want the maintenance or the risk of rot, drying and splitting, or even fire . . . these days there are various siding products made of much more practical materials, that mimic the look of real cedar? And did you know that you can have an extra layer of insulation added under some sidings, to help with your heating bills? If you live in Arvada Colorado, siding does not have to be a difficult or scary decision. We will use every bit of our experience to make sure your job goes smoothly and you are left with the perfect product on your beautiful home. Why not contact us today for a quote?